Will your service work on my Internet connection? Our engineers will evaluate your connection(s) during the sales process to ensure it's capable of handling the number of concurrent VoIP calls you need. If you have a good quality broadband Internet connection, your VoIP service should work great! Your service sounds rad, is it also ridiculously expensive? If you've ever priced out a PBX system before, you're probably still recovering from the sticker shock. With our service you pay one competitive monthly price for all the things. So no, it's not expensive. It's cheaper than land lines, better than big Telecom's stuff, and won't immediately blast a giant hole in your budget. Not convinced? Give us a call. Why is your service more awesome than those other guys? We're glad you asked. We are PBX nerds who've been doing this stuff for ages. We aren't looking to "push units out the door", we want to spread the joy of simple, easy to use, feature rich phone systems with helpful folks here in the good 'ol USA ready to help you with anything you need. Doesn't that sound nice? We think so. Do I need to find my own SIP provider? Nah, we wouldn't do that to you. 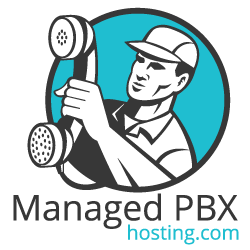 We provide an all inclusive PBX service that includes phones and phone service. Yeah, it's really that easy! Do I need to get new phones? Can't I just use my own? In order to keep our solution as simple as possible for our customers and ensure reliability, we only use phones we have thoroughly evaluated for maximum awesomeness. We prefer to think of it as you get to get new phones, because YAY NEW STUFF. Oh, and they're included! What kind of phones do you guys use? Depends on the application, but generally speaking we use Sangoma desk phones, Polycom conference phones, and Yealink DECT cordless phones. We've tested dozens of them and we picked the ones we found easiest to use, easiest to deploy, and that present the most value for our users. Will I be able to dial 911? VoIP service is not like traditional analog phone lines, which provided their own power. In the event of a power or broadband failure, VoIP service could become unavailable. It's also more portable, so if you decide to move an extension that can complicate things as well. For details, you might want to read our full E911 Service Disclaimer. That said, our VoIP service does support E911 and it will be enabled on DIDs you select. We provide a handy online portal for you to manage your E911 addresses, too. Can I use a fax machine with your service? We do not support fax machines. We also do not support rotary dial phones, telegraph keys, or anything cooked up by The Professor to try and get off the island. We know some people gotta fax, but we're just so over the fax machine. We recommend either a specialty online fax service (they're cheap!) or an analog phone line.